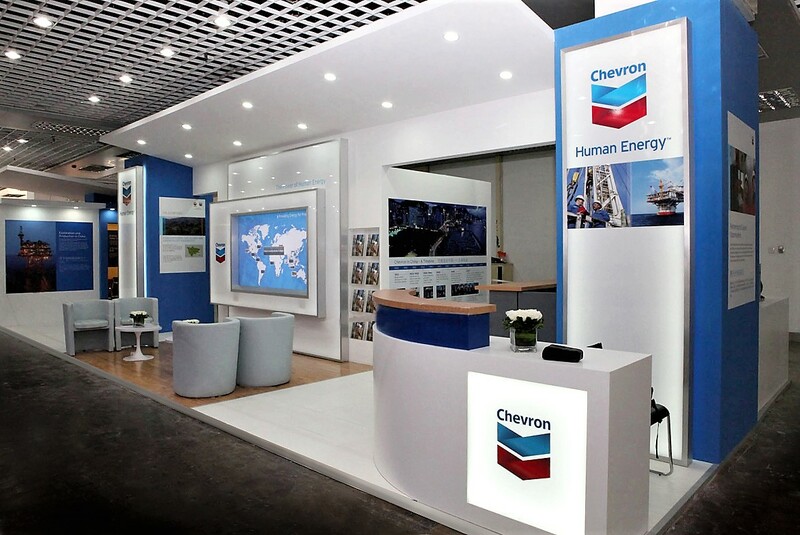 When Chevron attended the Natural gas and oil exploration show in Beijing China they had a 15’ x 30’ space for their event. 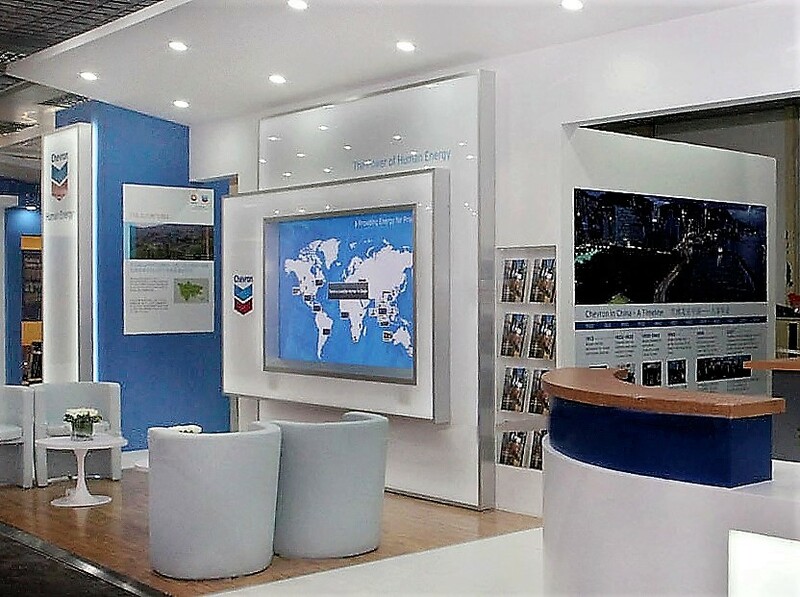 The centerpiece is a 4’ x 6’ touch screen monitor with an interactive program showing all Chevron exploration sites around the globe. Private conference rooms and a food and beverage preparation area were along the back side of the space with reception and informal seating along the front. Strong brand imaging and clean contemporary styling drove the design objectives. We understand International shows and how they differ from domestic shows. We know how to work successfully overseas and deliver seamless results for our clients. 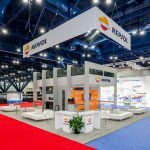 International attendees easily recognized the Chevron brand and message in this custom rental environment.